My Texan neighbor gifted us two bars of soap from Austin Natural Soap. I was excited to try them because they are fragrance-free, vegan, never tested on animals, and handmade in small batches with all-natural ingredients including supermoisturizing oils. 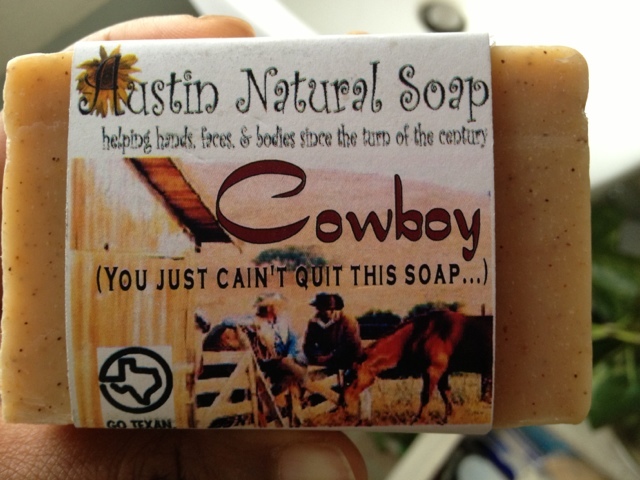 Austin Natural Soap Broke Back Mountain theme Cowboy Soap! Yesterday, I tried the Chile Pepper Soap with Southwestern Jojoba Oil and loved it. It was non-irritating, as the label promised, even on the tender bits. (Phew!) It was also indeed very moisturizing. Jojoba oil is actually a wax that is easy for our skin to absorb because it is most like sebum. (Sebum is the oil our hair folicles produce which protects skin from bacterial infection and reduces the natural water loss from the skin.) Yay for this beneficial oil being in this awesome soap! I haven't tried the Cowboy soap yet but I look forward to taking it for a ride. 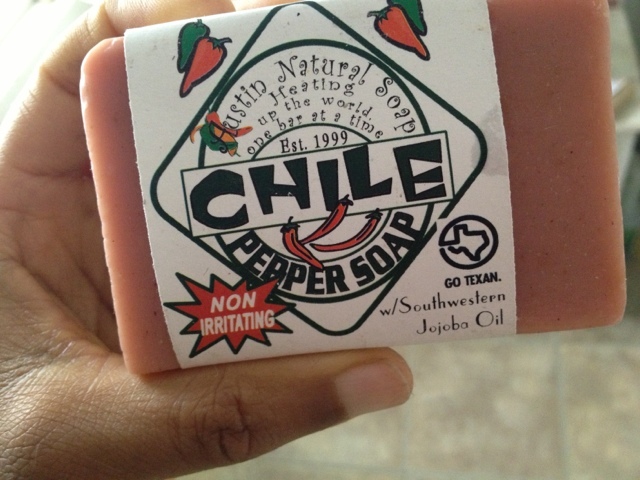 Have you tried Austin Natural Soap? What's the strangest soap you've ever used?